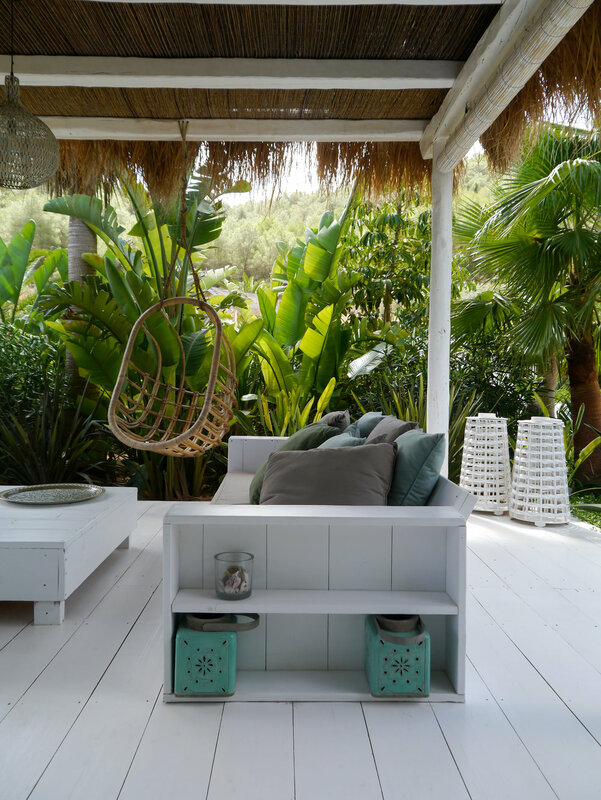 A charming 19th century finca, cocooned in 30 acres of olive groves and walled exotic gardens full of orange and mango trees, sits the tropical paradise of Pure House Ibiza. 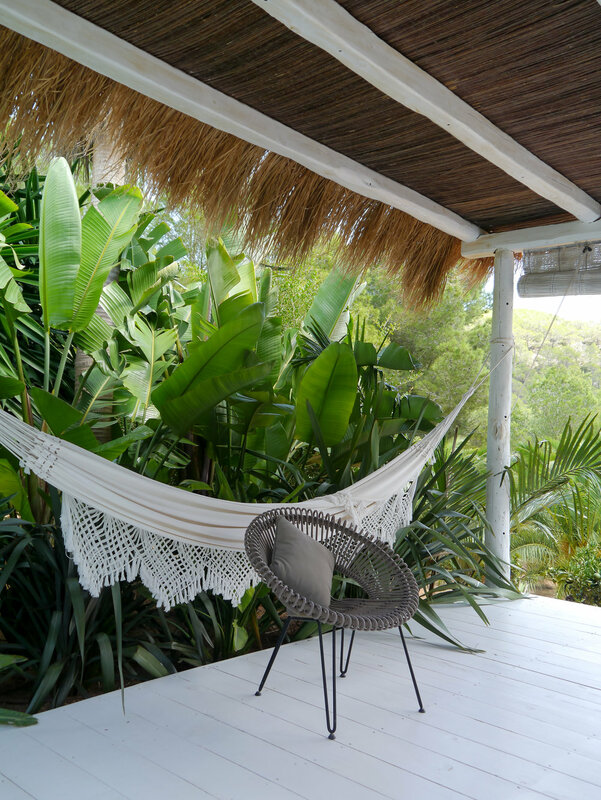 The French owners Caroline Foraz and Rushan Muca have lovingly restored this finca into a intimate boutique hotel with a home away from home feel, that is luxurious, private and comfortable; whilst always remaining authentic to the old finca's heritage. Surrounded by green hills, Pure House sits in a world of its own. 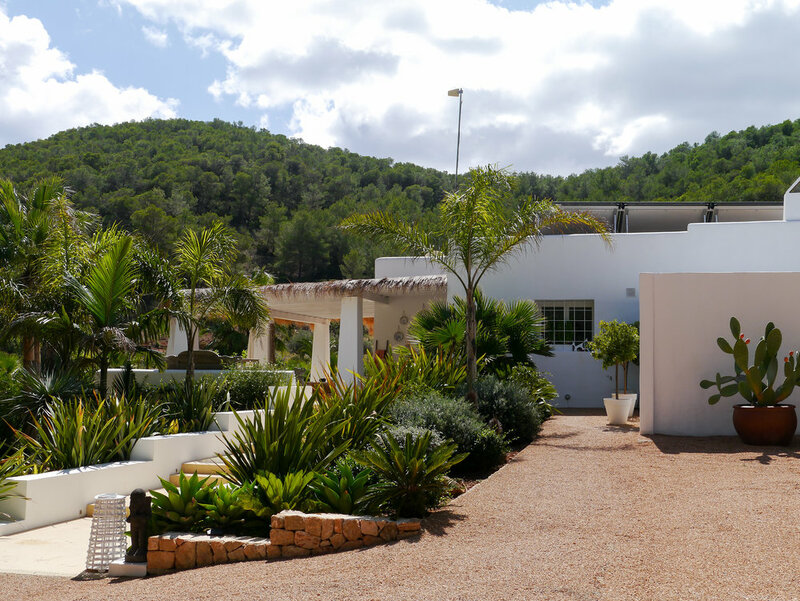 Just a few minutes outside of Ibiza Town, hidden along a bumpy dirt track, is a remarkable location that feels remote without being anything of the sort. It sits perfectly located for guests to explore some of the best beach clubs and restaurants on the island. With just four bedrooms, each with a private terrace, you are only likely to occasionally bump in to other like-minded guests, also looking for discreet luxury, possibly at morning yoga or the fresh homemade breakfast. 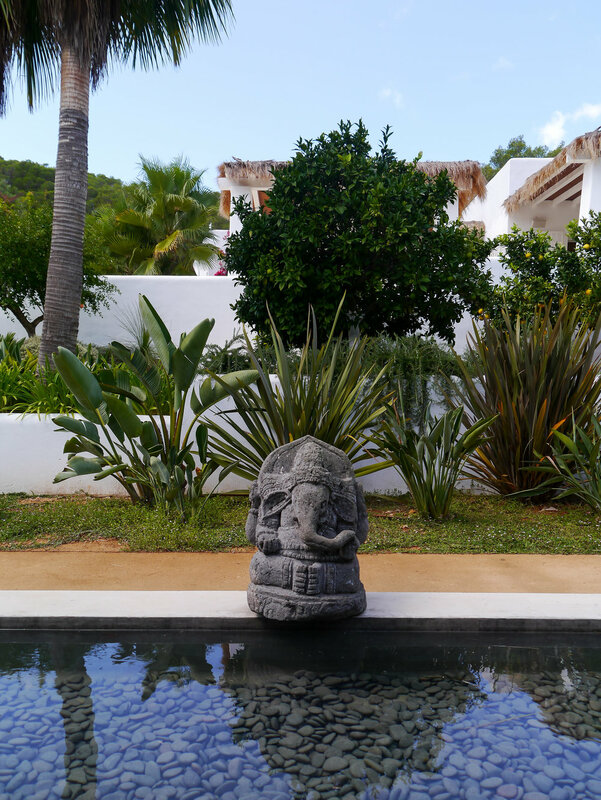 The hotel is laidback with a carefully curated design, with sofas and daybeds, antique sculptures hiding in the tropical foliage and stunning modern art made by friends of the couple or collected over their extensive travels. Much of the decoration here is for sale, allowing you to take a piece of this paradise home with you, but it also serves to constantly refresh the hotels spaces, allowing Caroline and Rushan to experiment with new pieces and new designs all the time. They don't advertise, instead relying on recommendations and word of mouth. This is certainly Ibiza for grown-ups, perfect for an informal romantic escape. It is hard not to fall in love with this place.